What is your role, when did you first become interested in ODR? My formal role is as the co-director of the National Center for Technology and Dispute Resolution (NCTDR) at the University of Massachusetts. The Center was formally established with a grant from the Hewlett Foundation in 1998. Its mission was to further the field of online dispute resolution (ODR) and that is still our main mission. In the years since, we have published several books and many articles but our main impact has probably come through the annual International Online Dispute Resolution Forum, this year held in Paris and hosted by the ICC, the annual online cyberweek conference, and the work of an extraordinary international group of Fellows dedicated to expanding the use of ODR. I became interested in the topic of technology and disputes in the early to mid-1990s as the Internet was beginning to experience rapid growth. The Net struck me as a place that was too active, too creative and, for some, too lucrative, to be a harmonious place. I had a colleague, Janet Rifkin, who was a leader in the ADR field and we thought that the creative use of technology would respond to many disputes arising out of online activities. In 1999, we were asked by eBay to conduct a pilot project to see whether such disputes could be mediated online. this was successful and over time, ODR has grown in use for both online and offline disputes. In what way do you think technology will impact dispute resolution in the next 5-10 years? Technology has disrupted almost every major societal institution, from finance to medicine to education to politics, and so on. The law has resisted change but that resistance has weakened considerably in the last year or two and this is going to continue. We are going to see a lot of accessible and powerful software developed. Until recently, ODR was focused on capabilities to communicate and work with parties separated by great distances. Parties did not have to meet face to face. We are now seeing the beginning of software that not only communicates information but processes it and builds intelligence into it. It increasingly works als a “Fourth Party”, working alongside the third party or, at times, replacing the third party. How could ODR transform dispute resolution processes? ODR is presenting us with a singular opportunity to have an impact on access to justice. This is a principal theme of a book recently published and co-written with Orna Rabinovich-Einy. ODR can reduce costs and make legal processes not only less expensive but intelligible to ordinary citizens. Are there certain disputes particularly suited to ODR? The ODR field is not only growing in use but developing increasingly powerful tools that are facilitating the use of ODR in increasingly complex cases. How are judiciaries reacting to the potential of ODR and digitalisation trends? The United Kingdom has become a leader and is planning to to put in place an online court that would handle disputes involving less that 35,000 pounds. Canada and the Netherlands are other leaders and various experiments are beginning in the US. Ethan Katsh is also Professor Emeritus of Legal Studies at the University of Massachusetts Amherst and one of the founders of the field of online dispute resolution (ODR). 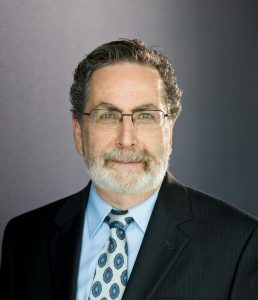 Along with Janet Rifkin, he conducted the eBay Pilot Project in 1999 that led to eBay’s current system that handles over 60 million disputes each year. Along with Professor Rifkin, he wrote ‘Online Dispute Resolution: Resolving Conflicts in Cyberspace (2001), the first book about ODR. Since then, he has published numerous articles about ODR and co-edited Online Dispute Resolution: Theory and Practice’.